When you’re putting your home on the market, you’re most likely thinking about how you can make the best profit. What realtor will get me the most money? What time of the year should I sell? What projects should I do around the house to get a higher price? This may be why you’re feeling iffy about staging your home before you sell. Spending a decent chunk of money so that you’ll maybe get a higher asking price? Is that really worth it? The answer is yes, and statistics prove this! 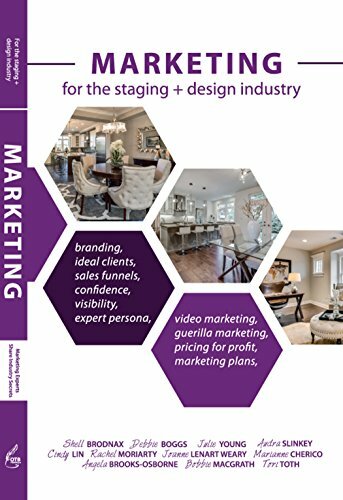 The National Association of Realtors recently published their 2019 home staging study and, once again, the statistics recommend staging as part of the marketing process of listing a home for sale. 97.68% of our projects were vacant home staging. Out of the sold properties, 87.80% of our projects sold within 30 days. Out of the sold properties, 88% of our projects were sold over-asking. The price differences ranged from $100 – $405,000 over the original asking price, which translate to 0.02% to 45.25% increase from their original listing prices. Altogether, $4,443,985 more than the original asking price. Average days on market (DOM) for our staged and sold properties were 17.58 days. Comparing to public data from San Mateo County, the average DOM for residential homes in San Mateo County last year was 30 days (source). According to public data, the smallest average DOM last year in San Francisco County was 28 days, for residential houses in Q3 2014 (source). A successfully-staged home sells faster and often for more money because the listing is focused and targets its potential buyers by creating a lifestyle the potential buyers want to buy into. Home stagers make design decisions to appeal to potential buyers’ tastes and likes. 40% of buyers’ agents cited that home staging had an effect on most buyers’ view of the home. 83% of buyers’ agents said staging a home made it easier for a buyer to visualize the property as a future home. 28% of sellers’ agents said they staged all sellers’ homes prior to listing them for sale. 13% noted that they only staged homes that are difficult to sell. The most common rooms that were staged included the living room (93%), kitchen (84%), master bedroom (78%), and the dining room (72%). A median of 10% of respondents cited that buyers felt homes should look the way they were staged on TV shows. 38% of respondents said that TV shows that displayed the buying process impacted their business. When it comes to the return on investment for home staging, “when staging a home, 22% of sellers’ agents reported an increase of 1-5% of the dollar value offered by buyers, in comparison to similar homes. 17% of respondents stated that staging a home increased the dollar value of the home between 6-10%. Recently, Coldwell Banker also published a survey result that staged homes sell for more than 6% above the asking price. For a $100,000 listing, that’s $6,000 extra for the seller’s pockets and $3,000 extra for the seller’s agent’s commission. In San Francisco Bay area, the current home median price is $1,365,700, according to Zillow. This means that the sellers can pocket an extra $81,942 and the real estate agent can stand to make an extra $40,971 on the commissions! This means it is a win-win scenario for everyone involved, not to mention the extra 6% will more than pay for the initial investment of staging the home! What do you think of these statistics on home staging? Tell us in the comment section below.